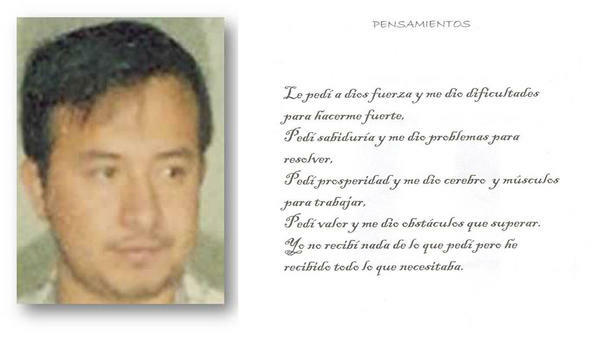 Nazario Moreno Gonzalez, in an image from one of the quasi-religious books his cartel distributed. Nazario Moreno Gonzalez, one of Mexico's reputed drug lords, has now been killed twice. Well, perhaps we should say that he's been declared dead for the second time. The head of "the cultlike, pseudo-Christian La Familia cartel" was supposedly killed back in December 2010 during a two-day shootout with police. But on Sunday, Mexican authorities announced they'd killed him again. At the same time, CNN says, they "revealed a surprising twist ... announcing the 2010 report of his death was inaccurate." "The killing of Moreno — if he is really dead this time — is another high-profile victory in the drug war for the administration of President Enrique Peña Nieto, who took office in December 2012 promising to fight the cartels in a smarter and more efficient manner." From Mexico City, NPR's Carrie Kahn adds that after Moreno's first "death," his cartel morphed into the Knights Templar, named after the medieval crusaders. It preaches a quasi-religious Marxist doctrine that was widely distributed in a so-called bible even as the cartel allegedly sells methamphetamines and commits murders and extortion throughout Michoacan state." 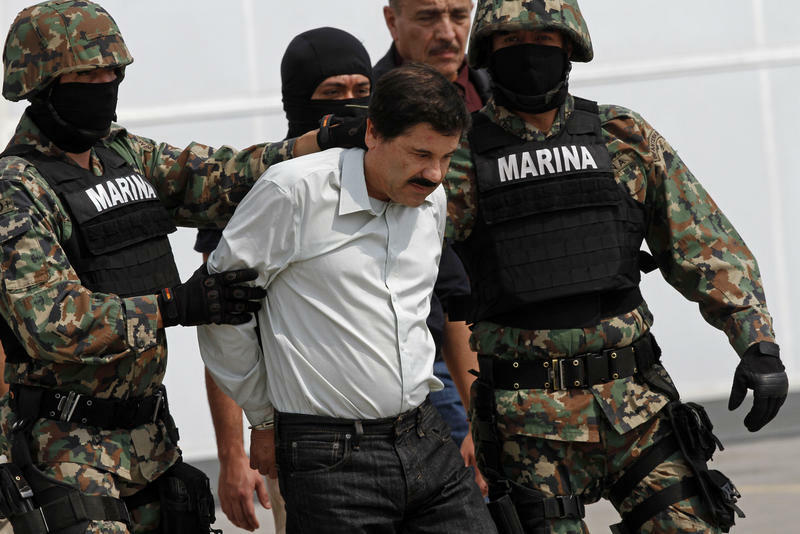 One of the world's most powerful drug lords has been captured. Mexico's head of the Sinaloa drug cartel, Joaquin "El Chapo" Guzman, was arrested in an operation that Mexican officials say involved the cooperation of U.S. authorities. Guzman has been on the run for years and his capture puts an end to one of the longest and most profitable careers in the drug world. That capture began as the sun rose up over the hotel-lined beaches of Mazatlan early Saturday morning. 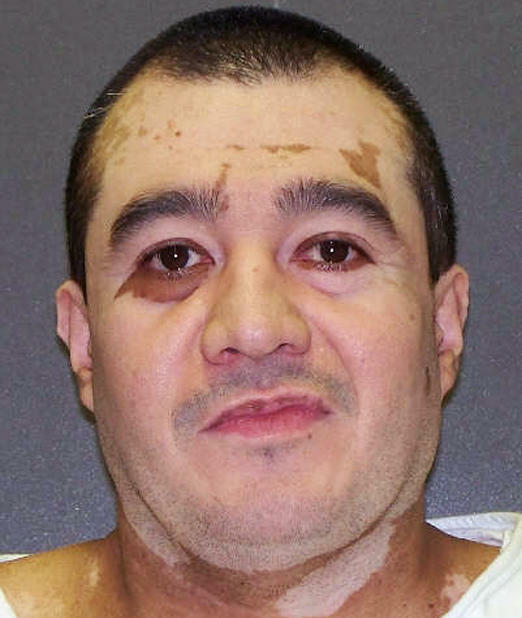 Wednesday's execution of a Mexican national in Texas revived a long-running diplomatic row between the United States and its southern neighbor. "A Mexican man has been executed in Texas for killing a Houston police officer, despite pleas and diplomatic pressure from the Mexican government and the U.S. State Department to halt the punishment. Dallas Morning News correspondent Alfredo Corchado has been reporting in Mexico over the past 20 years. He left the U.S. for Mexico in 1994 – a decision that’s long frustrated his mother. She and his father had moved his family to the U.S. to work as migrant farmers decades earlier. Corchado writes about his troubled relationship with his birth country in his memoir, “Midnight in Mexico.” A movie is in the works. He recently spoke to KUT about his experiences.